We came about this restaurant while walking pass a small alley. 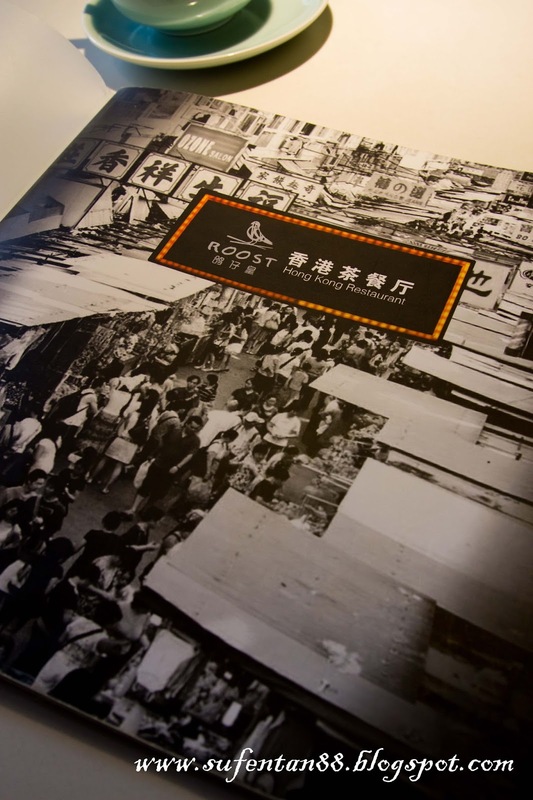 It is called Roos Restaurant which originates from Hong Kong since 1988. The new Hangzhou branch started recently last year. 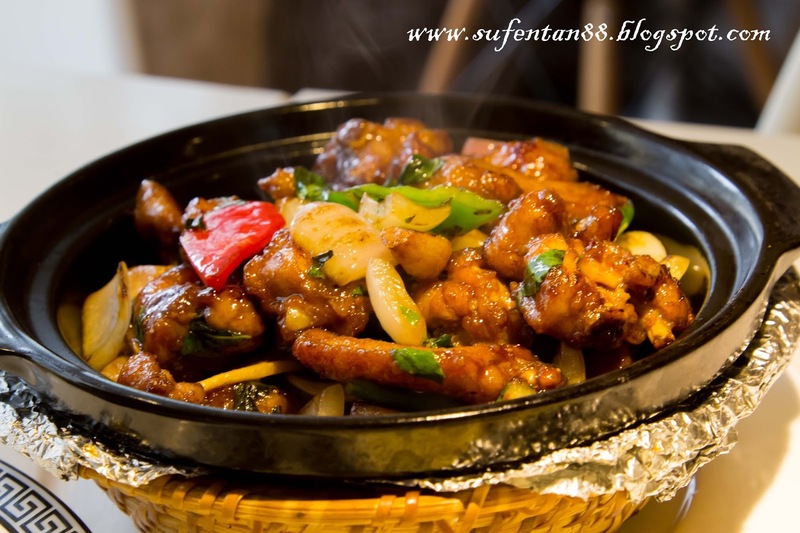 From the chinese name, you can know that it is a restaurant which serves pigeon dishes. Tea is served for free but you have to get it yourself from the beverage counter. 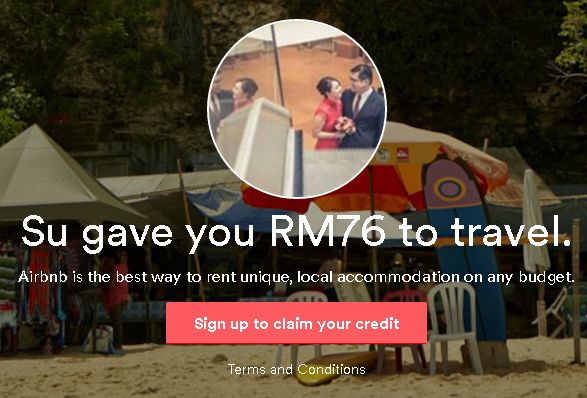 They offer a special promotion for selected ala carte on weekend for cash terms only. We happily enjoyed the promotion as we were paying in cash. 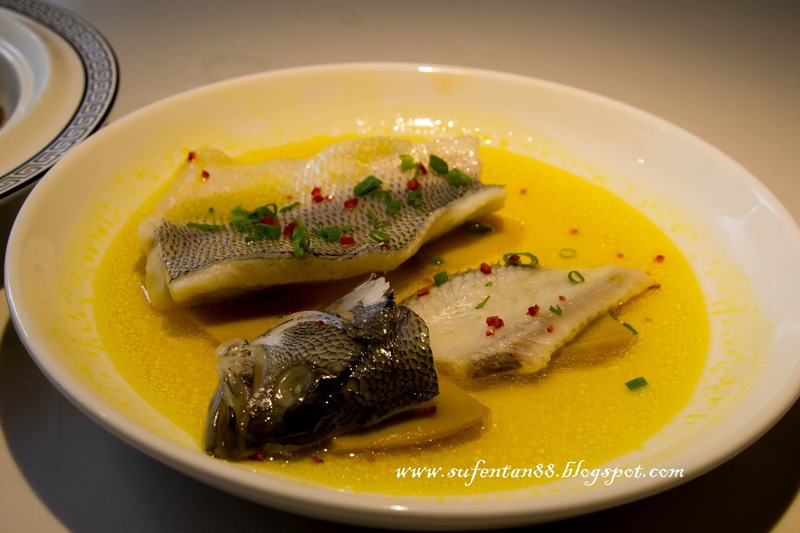 I saw most of the fish served in the restaurant is Perch, a kind of freshwater fish commonly found here. The taste was fine but a bit oily on the sauce. The vegetables were salty, I guess the chef doubled the dose! The chicken here is referring to pigeon meat. The taste was not bad but since they are using pigeon meat, every piece we ate seems like it was very small. Most of the time, the bones are thicker than the meat. 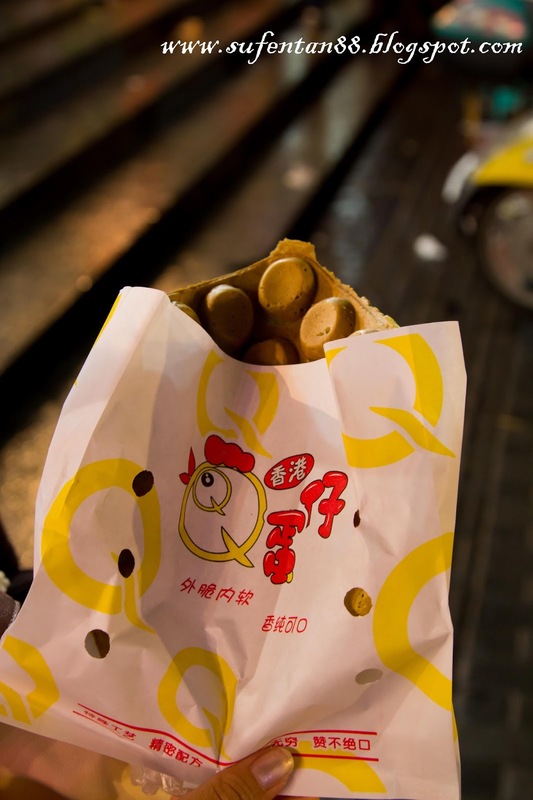 Other than that, I couldn't differentiate the difference between the texture of pigeon and chicken meat. It was my first experience to try pigeon meat, but I would still prefer chicken nonetheless. 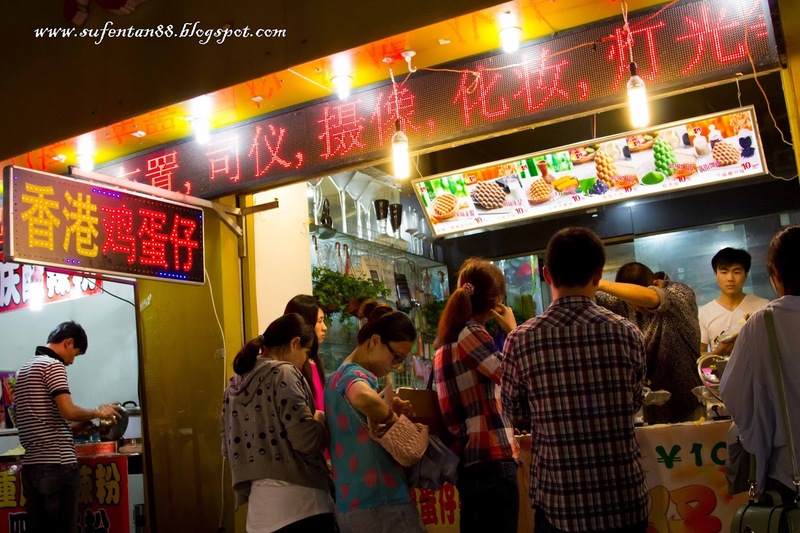 We visited Wu Shan Night Market while in Hangzhou which is within walking distance from our hotel. 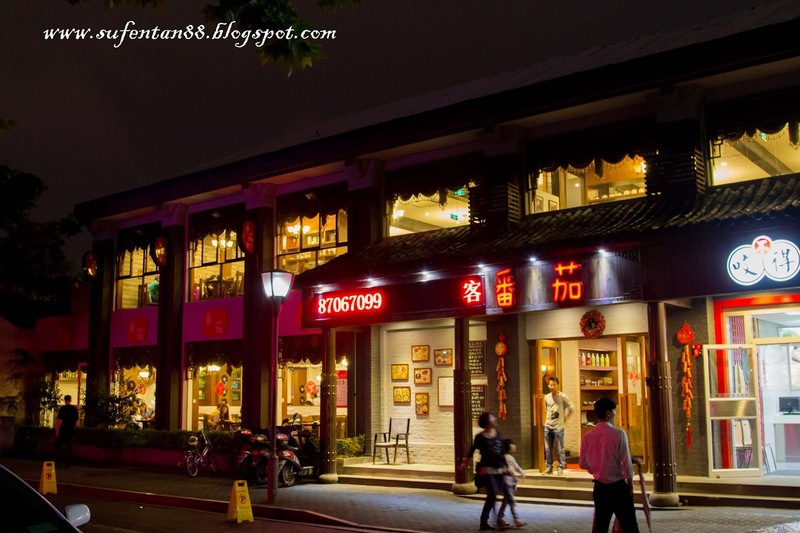 It is located at 11, Huixing Road, Shangcheng, Hangzhou, Zhejiang, China. 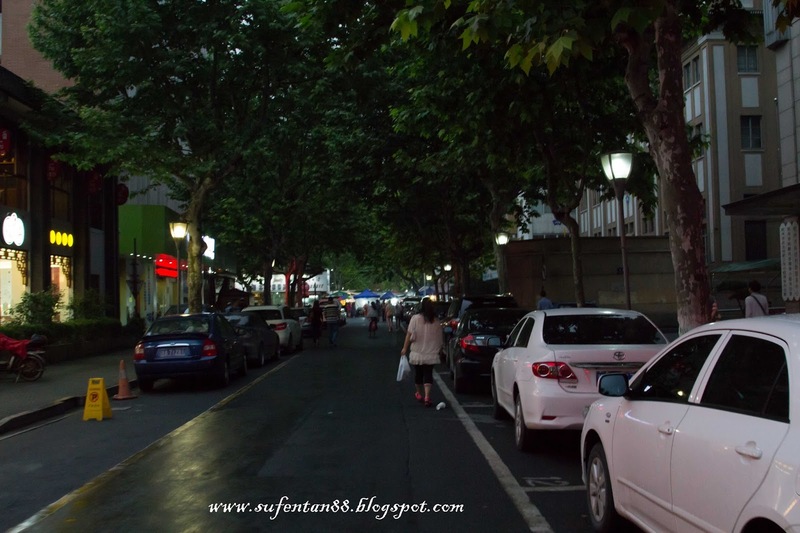 We were hoping to get some snacks or even to have dinner at the night market. 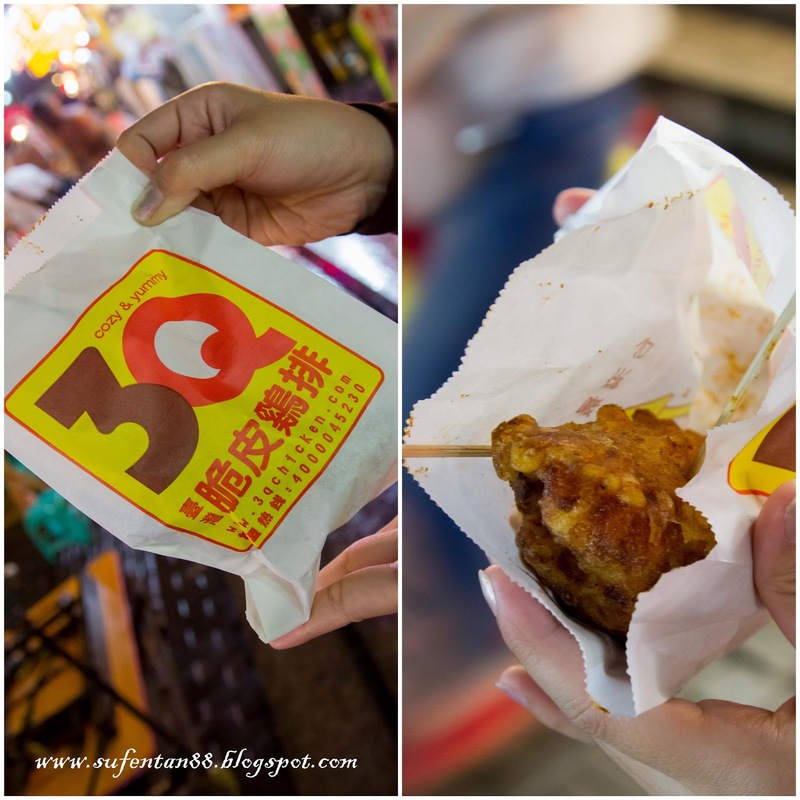 However, the night market didn't turn out like we expected it to be (something like taiwan's night market). 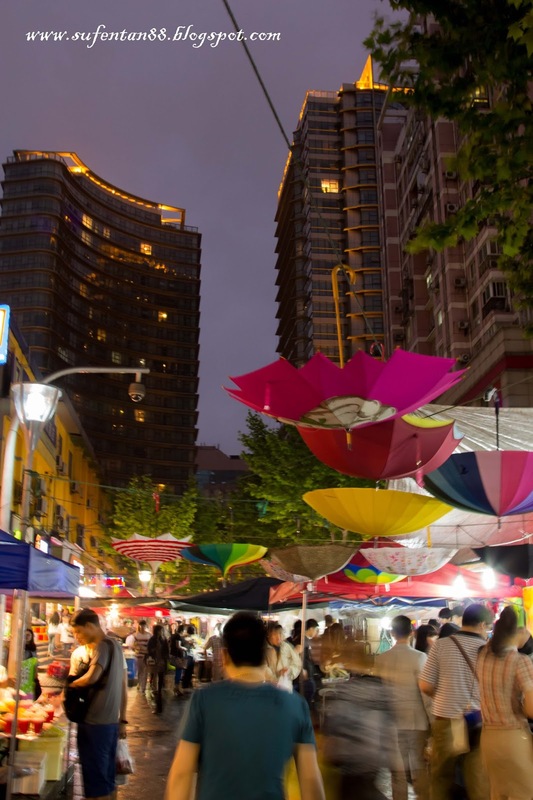 Not many food stalls were found in the night market, more on clothes, umbrella and accessories. We found this small stall selling some sort of pancakes. There were many people waiting in line, therefore we joined in as well and ordered a macha (green tea) pancake. It actually tastes quite nice with the green tea flavour within the crust, I love the smell of pancake. Having the shapes of the little eggs does make it slightly a bit more special. We passed by this Fried Chicken stall, bf couldn't resist it. So we ordered one of their speciality fried chicken. It is basically chicken cordon bleu wrapped with some cheese and sauce inside. When you bite, the cheese melts in your mouth, coupled with the cheese and the crunchy crust outside, this is what I call chicken bomb! It is very nice when it is hot so eat it up as soon as you can. However, due to ingredients and effort of wrapping the chicken, it seems abit small and slightly on the expensive side. 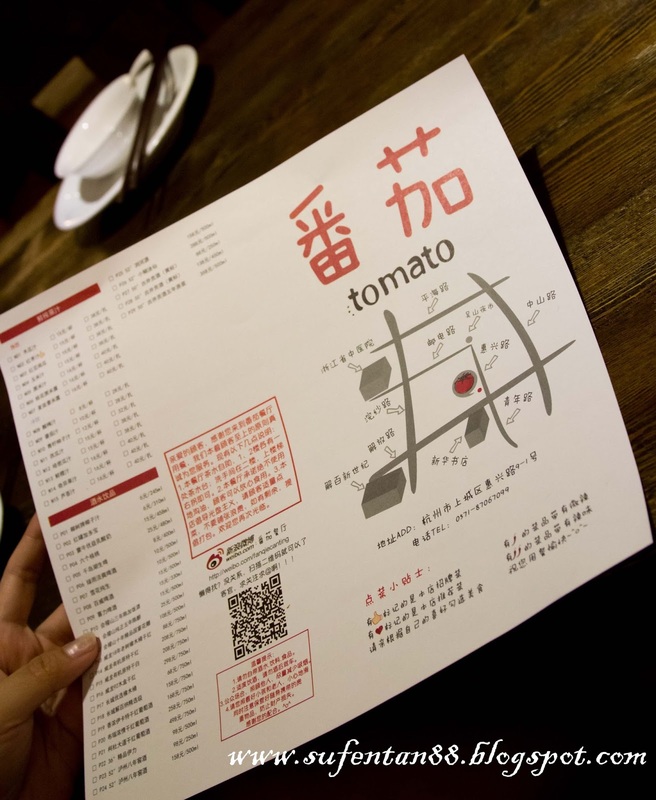 Since there wasn't any nice stalls to have dinner, we decided to try this Tomato Restaurant near to the night market. We found the decorations to be quite special, presented in the way of the good old days which brings a great deal of nostalgia to the customers. It is a new restaurant which started not long ago, we got to know it from the staff when we were asking for an English menu. The menu only came in Chinese wording, no photos were displayed in the menu. 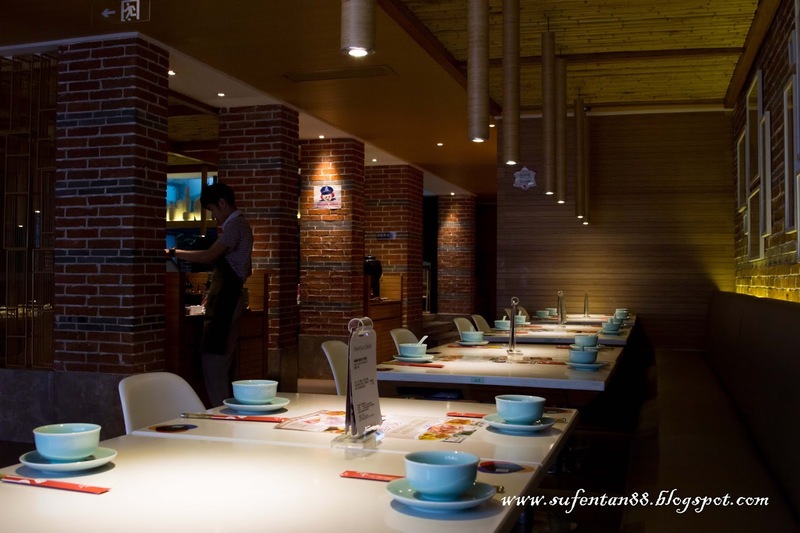 It was quite hard for us to order by referring to their dishes' name as we are not familiar with China's dishes. In the end, we ordered whatever we think it is good. 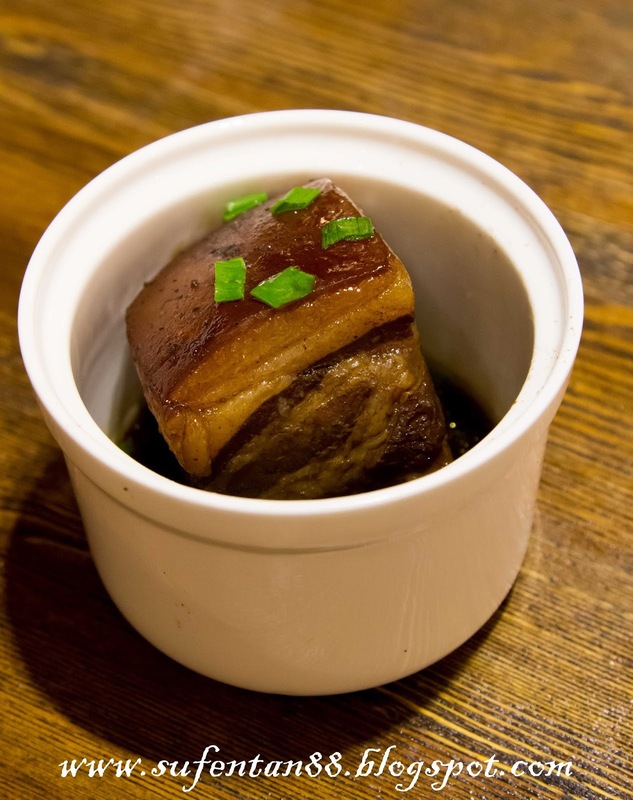 This dish is one of the famous food in Hangzhou. The taste was good but the portion is really small and not cheap. 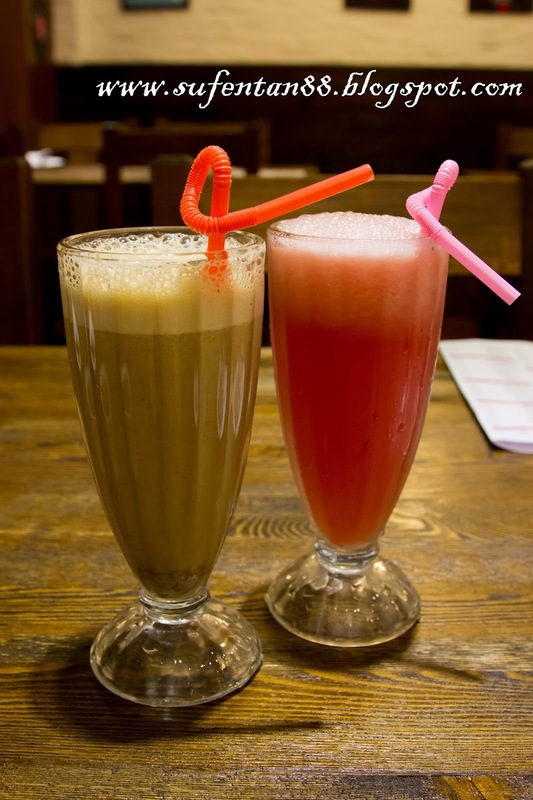 We were shocked when the red dates juice arrived because the colour was dark and it was served hot. The juice tastes so weird because they added milk into it, which became some sort of red dates milk shake... you get the picture. 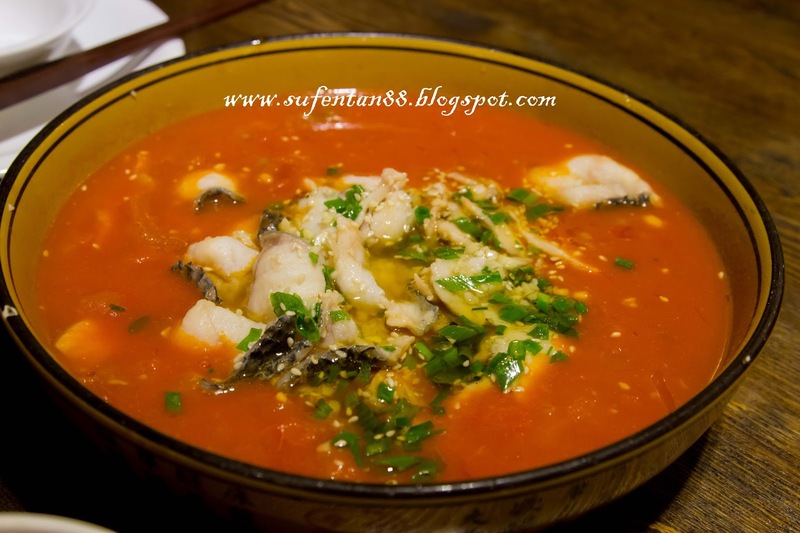 Again, they are using perch fish cooked with tomato soup. The dish didn't turn out as we expected. We were expecting thick tomato gravy instead of tomato soup. The potion was big. They cooked the whole dish using fresh tomatoes only as we can taste the sweet and sour taste of fresh tomatoes instead of the taste of tomato sauce; seems that we are more used to the usual Hong Kong style of sweet and sour tomato sauce. Oh and one more thing, beware of bones even though its fish fillets, the dish is not children friendly. This dish is out from our expectations. 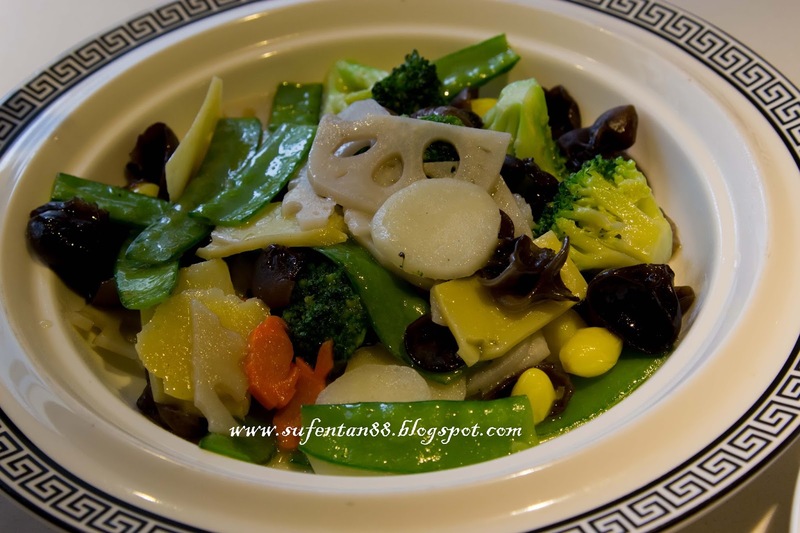 From the name of the dish, it was supposed to be stir fried long beans. 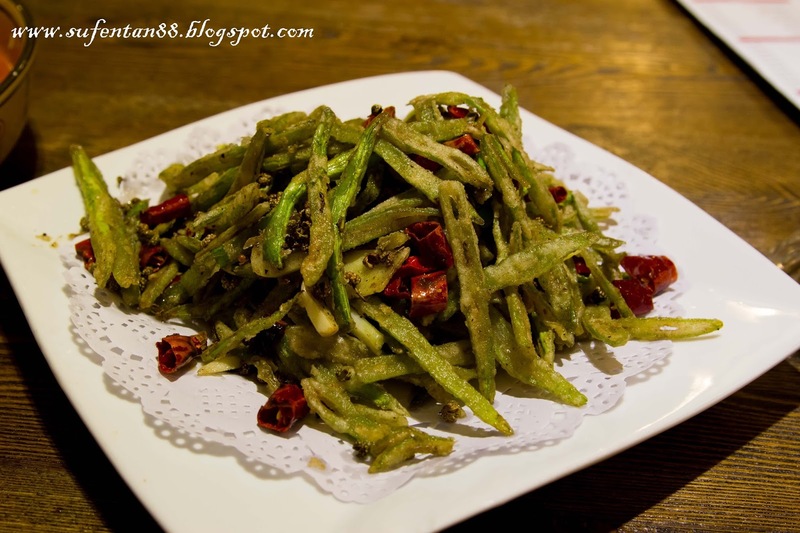 However, we got super dry long beans served with salt, black pepper and dry chilies. This was the driest and spiciest vegetables we ever had in our lives! 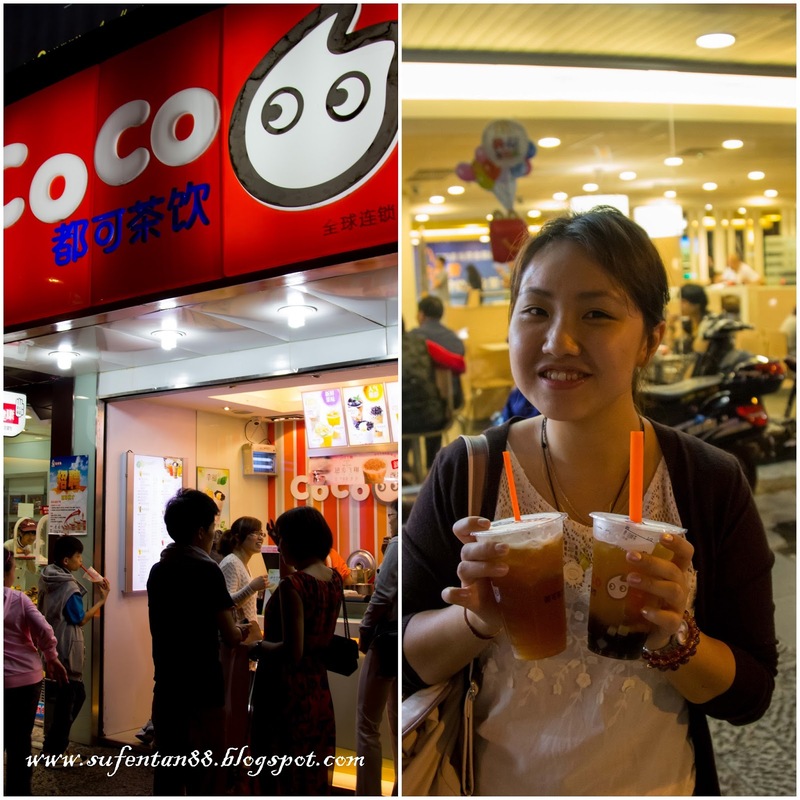 On the way back to our hotel, we grabbed our all time favourite coco beverages! It is everywhere in China, too bad we only have one outlet in Malaysia. I love their pearls!